New! Leather Wallet Goddess of Motherhood! Marbled brown, handtooled, embossed in gold. A unique, useful gift for mom, sister or you! 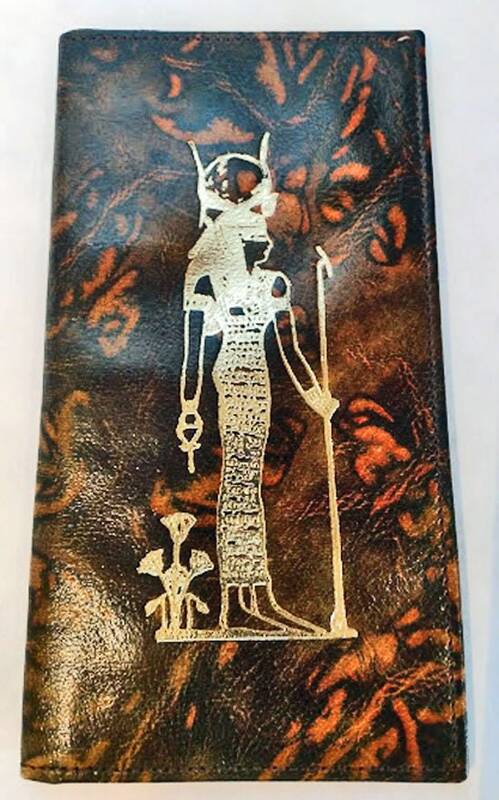 Marble brown, hand tooled in Egypt leather wallet with a beautiful picture of the Goddess of Motherhood embossed in gold is the perfect gift for any woman! It measures 3 1/2 inches wide by 6 3/4 inches long. 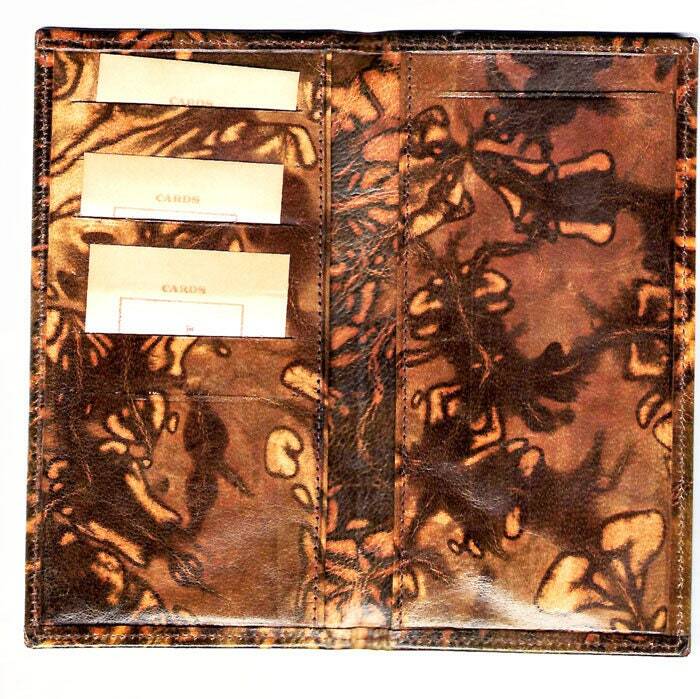 The wallet is soft leather and comes with credit card, license holders, pouch that could keep some change and two places for currency. It is a unique, beautiful, useful gift. Think mothers day! 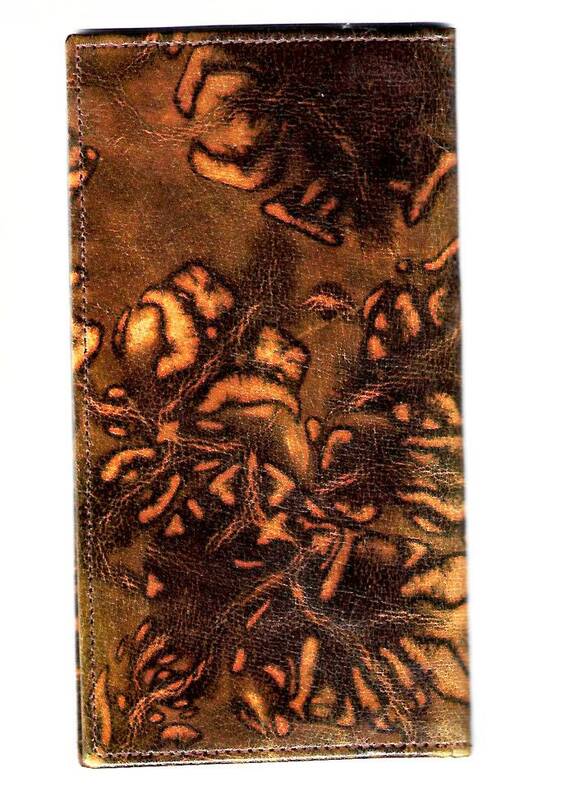 If you need a new wallet or a gift for your mother, sister, aunt, friend-this is it!